Garden blogs are filled with beautiful photos, but it's not all sunshine and roses out there. Here's a pic of lamb's ear (Stachys byzantina) looking terribly bedraggled by the end of winter. 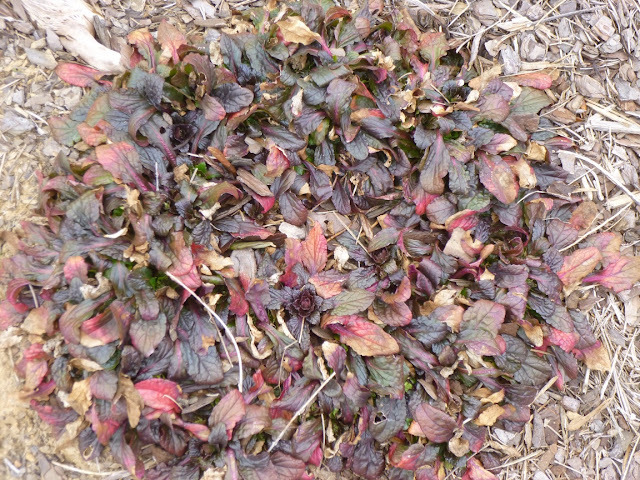 I wish I knew the best way to prune out the dead, disfigured foliage, which is intermixed with fresh, healthy leaves. Should I just raze the whole thing to the ground? The foliage is so thick and deceptively tough that it's not easy to prune, even with a hedge clipper. If I leave it alone, I know that eventually the new growth will camouflage the mess beneath, but then I worry that the mass of dead foliage will impede air circulation and water penetration. There are other evergreen or semi-evergreen perennials that don't look their best in Middle Tennessee by the end of winter. 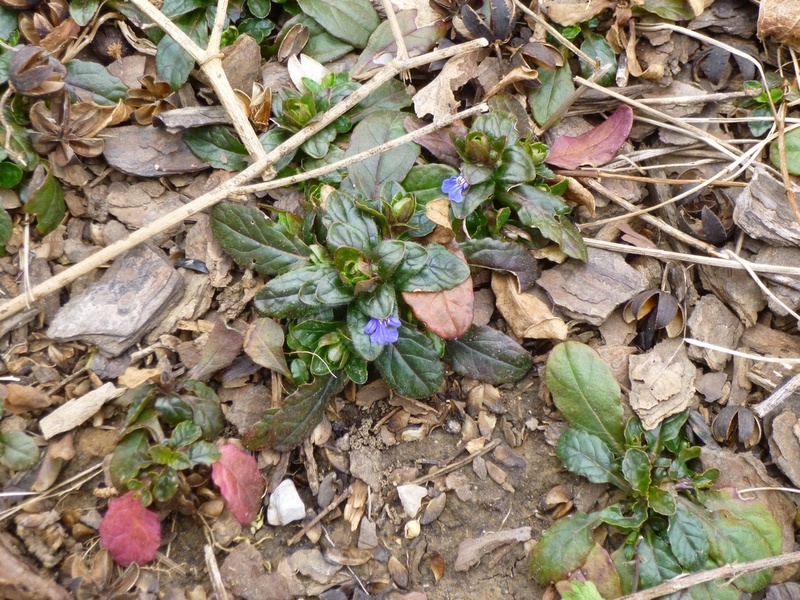 Ajuga reptans (bugleweed) comes to mind. 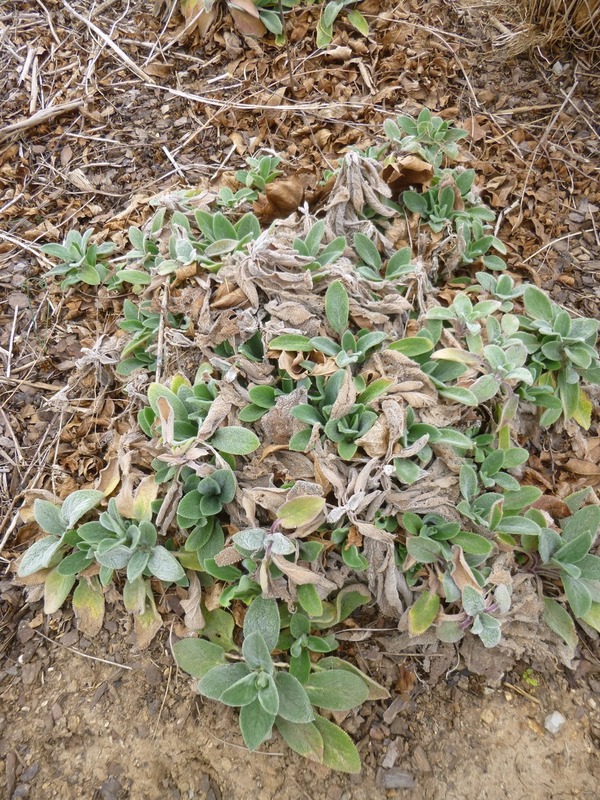 But the damaged, dead and dying foliage of the low-growing bugleweed seems to disintegrate to the point where the build-up of rotting foliage doesn't cause the same aesthetic issues as with lamb's ear.